Recent years have seen significant developments in probabilistic methods for efficient uncertainty quantification (UQ) in computational models. These methods are grounded in the use of functional representations for random variables. In particular, Polynomial Chaos (PC) expansions have seen significant use in this context. The utility of PC methods has been demonstrated in a range of physical models, including structural mechanics, porous media, fluid dynamics, aeronautics, heat transfer, and chemically reacting flow. While high‐dimensionality remains a challenge, great strides have been made in dealing with moderate dimensionality along with non-­linearity and dynamics. In this talk, I will give an overview of UQ in computational models, and present associated demonstrations in computations of physical systems. I will cover the basics of PC UQ methods with examples of their use in both forward and inverse UQ problems. Moreover, I will highlight recent statistical methods developments for dealing with missing data and model error. I will also highlight the application of UQ methods in select physical systems, including chemical ignition and turbulent combustion. Habib N. Najm is a Distinguished Member of the Technical Staff at Sandia National Laboratories in Livermore, CA, USA. He received the MS and PhD degrees in Mechanical Engineering from MIT in 1986 and 1989, and the BE degree in Mechanical Engineering from the American University of Beirut in 1983. He worked with the semiconductor process laboratory at Texas Instruments from 1989 through 1993, before joining the Combustion Research Facility at Sandia National Laboratories. His work at Sandia involves a range of computational science research, including development of numerical methods and computational tools for modeling and analysis of reacting flow, and for uncertainty quantification in computational models. 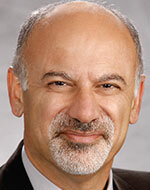 Dr. Najm is co-author of over 100 archival journal articles and 11 US patents.